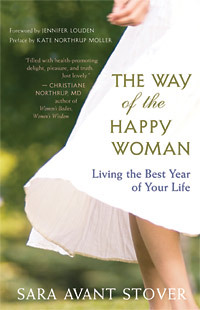 In The Way of the Happy Woman, Sara Avant Stover shows how simple, natural, and refreshingly accessible practices can minimize stress and put us back in sync with our own cycles and those of nature. Here she offers insights into how we can make the most of the winter season. When we let it, death and destruction can bring us much closer together as human beings. We remember our vulnerability and the preciousness of being alive. We remember that we need one another and that we never know when death will come for us. We need to partake in the full ritual of death — however gritty it may be to witness — and the ensuing descent into the darkness of our own souls in order to sing loud and clear when the dawn comes again. 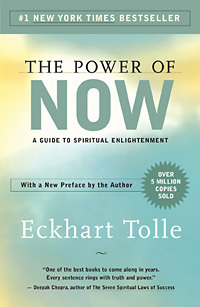 We hope you'll enjoy this short video in which Eckhart Tolle, author of The Power of Now, discusses our human destiny and how we can deepen our realization of inner spaciousness. We also invite you to subscribe to New World Library's YouTube Channel for immediate access to the latest author interviews, book trailers, and more. See if you can catch yourself complaining, in either speech or thought, about a situation you ﬁnd yourself in, what other people do or say, your surroundings, your life situation, even the weather. To complain is always nonacceptance of what is. It invariably carries an unconscious negative charge. When you complain, you make yourself into a victim. We hope you'll enjoy this short video in which Eckhart Tolle, author of The Power of Now, discusses how our obsession with social media is a continuation of a process that’s been going on in the human mind for thousands of years. We also invite you to subscribe to New World Library's YouTube Channel for immediate access to the latest author interviews, book trailers, and more. One of the greatest joys of life has to be picking up a book or seeing a movie that immediately grabs you and tells you a great story, immersing you in a new and unfamiliar world filled with characters you come to know and care deeply about. 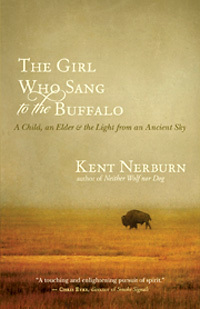 The Girl Who Sang to the Buffalo: A Child, an Elder & the Light from an Ancient Sky is one of the finest books I’ve read in many years. From the opening sentence to the last, I was totally enthralled. A book like this is the work of a great soul; Kent Nerburn is a writer whose work will last and be treasured for many generations to come.